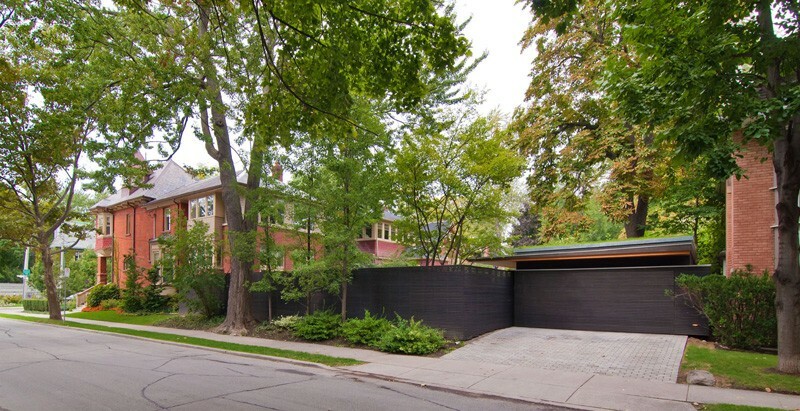 Amantea Architects have designed the renovation of a detached garage and fence structure for a home in Toronto, Canada. 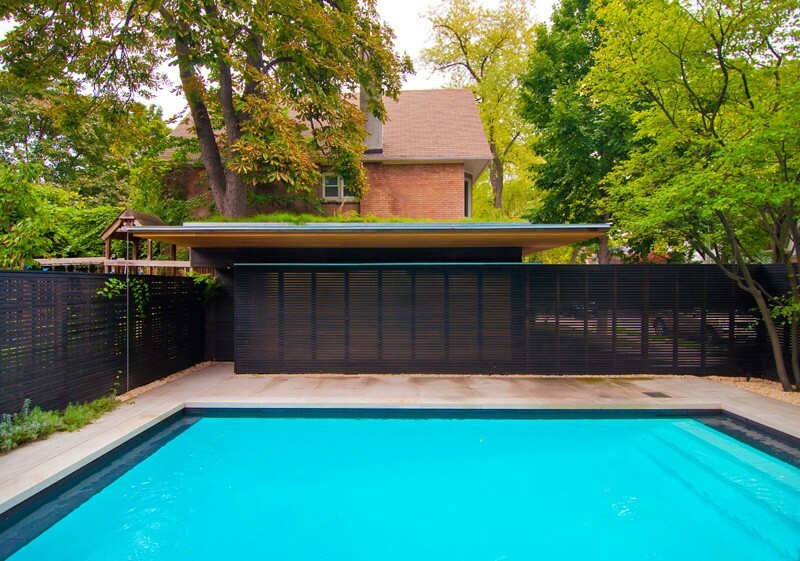 The original fence was replaced with horizontal wood slats, that allow for privacy but also let light and air pass through. 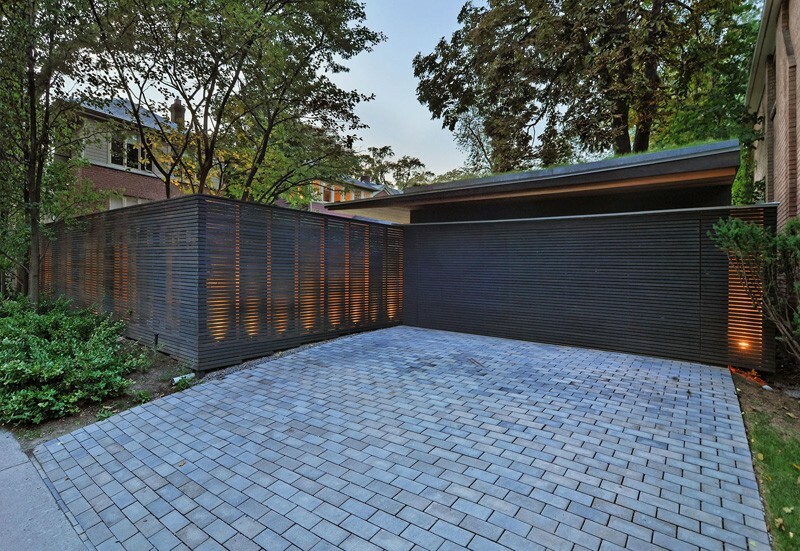 At night, the fence becomes a large light fixture providing an ambient glow for both the private garden as well as the public sidewalk. 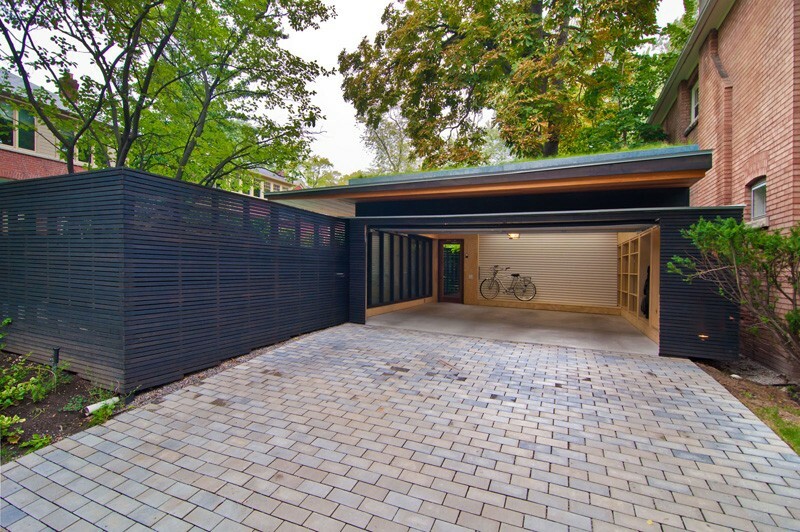 The somewhat hidden garage door opens up to a two-car garage space. 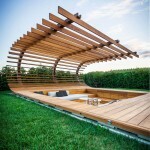 In the backyard, they carried the same fence design through to the wall that separates the garage from the pool area. 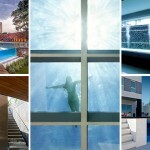 At night, the pool, fence, and garage areas can all be lit up. 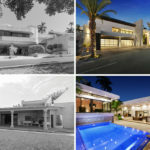 The lighting enables a warm glow to be seen throughout the space. Here, you can see how the garage has a large overhang. 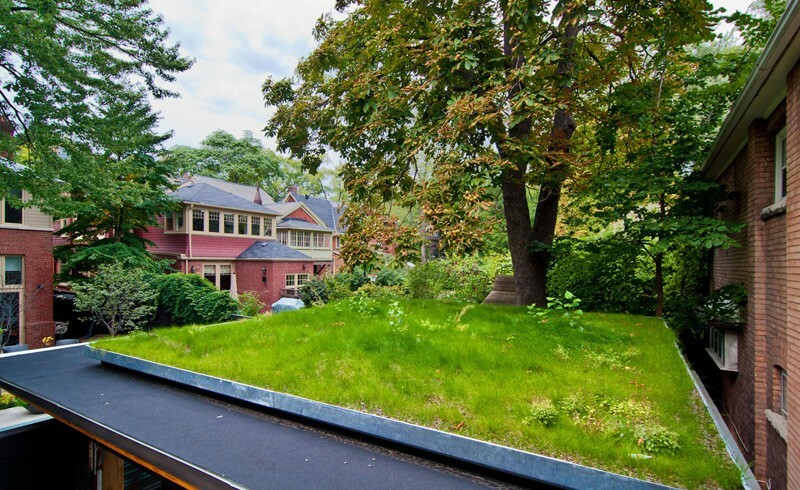 A green roof can be found on top of the garage.